If you had the “pleasure” of flying yesterday from Dubai Airport (DXB) to the US, you had a front-row seat in Emirates’ live Market Leadership 101 course for CEO’s. Saturday, 25th of March was the first day of the US #LaptopBan impacting the Gulf carriers Emirates, Etihad and Qatar as part of the latest terror hysteria. I’ll talk more about that hysteria another day. Today, I want to point out 3 key lessons from Emirates, not only to the other Gulf and national carriers affected by the ban, but for every company that fancies itself a customer-driven organization. Astute readers should pay close attention to the dates. In only a few short days, not only did Sir Tim and team experience an unexpected legal change to the business environment, they made a plan, communicated it to their customers and executed it ahead of their competition. That’s what excellence in execution is all about, and we should remember that even in an organization of over 95,000 employees, quick reactions to unexpected changes aren’t just possible, they are a necessity. 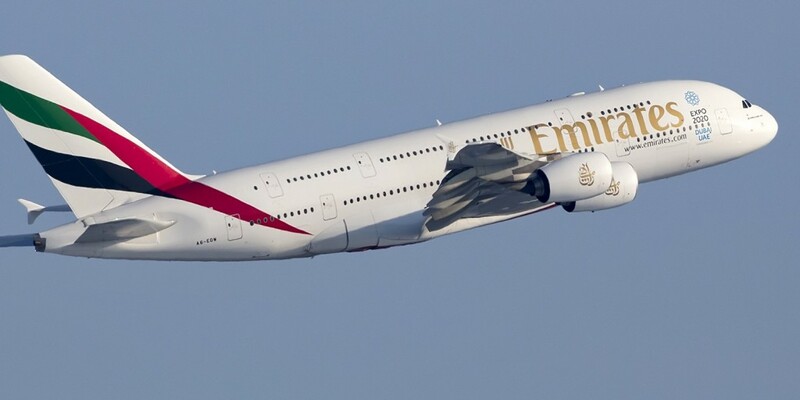 Combined, Emirates, Etihad and Qatar, known as “the ME3” operate 30 flights a day to the US from their 3 hubs in the Middle East, and 119 of those a week fly the Emirates livery. With 12 of Emirates’ 13 North American destinations being US cities, it still represents a vocal 8% of the airline’s destinations and over US$ 3bn in revenue. Normally, Emirates has a load factor of 74% to the US, and their overall break-even load factor for 2015/16 was 60.4%. Now, if you’re talking about an immediate drop in bookings of 35% to US destinations, that would potentially mean 119 flights a week at 39% load factors—64% short of break-even. The final background figure that plays into the rest of the point is the value of the Emirates brand. According to estimates for 2016, Emirates was the most valuable airline brand in the world at about US $8bn. That brand is built on many things, but one of the biggest is the level of service provided to customers. Back to timelines above, Sir Tim and his team only took 2 days to digest the latest policy news from the US administration and formulate some kind of plan for its US bound passengers. On the 3rd day following the ban, Emirates announced to customers that it had a solution. It isn’t perfect, for sure, but it was a solution. Given that the majority of inbound flights connecting through DXB to the US are long-haul, being assured you can gate-check your electronics means that you at least don’t lose the whole trip to non-productivity. This is a big deal. In my own case, I would’ve much preferred to use the 9+ CPT-DXB hrs to try and sleep and then get back to work most of the 15+ DXB-ORD hours. However, knowing about the ban, I was at least able to get a few hours in from CPT-DXB before surrendering my Macbook and iPad. Most importantly, thanks to this fact in conjunction with the flight delays and 20-min connection, I’m typing this today on the very same Macbook NOT checked into the two bags that didn’t make my connection. I had 3 meetings today with Middle East customers, and if I had been forced to check my gear in CPT, I would’ve had a pretty serious productivity impact. As of tonight, I was notified that I won’t be reunited with my bags until sometime on Tuesday after arrival on Saturday afternoon. Did it actually demonstrate having a plan to minimize the impact of the legislation on its customers? No. Were customers upset, concerned and cancelling bookings? Yes they were. While Qatar announced “special arrangements” for passengers on the 21st, as of today, there is still no additional information on their site as to what those arrangements actually are or how they will be implemented. Royal Jordanian’s announcement is similarly vague, indicating that “passengers abide by the [UK] restrictions” on flights to London. After the escorted, short-connection sprint through DXB, arrival at the gate meant having our hand luggage checked for devices. Planning ahead, I had a padded bag to go in what would’ve otherwise easily been mistaken as a wine box, but we were told that bubble wrap was available as well. Things were a bit hectic, and the staff were struggling a little to take, pack and label the electronics in an orderly fashion. However, it was surprisingly efficient. 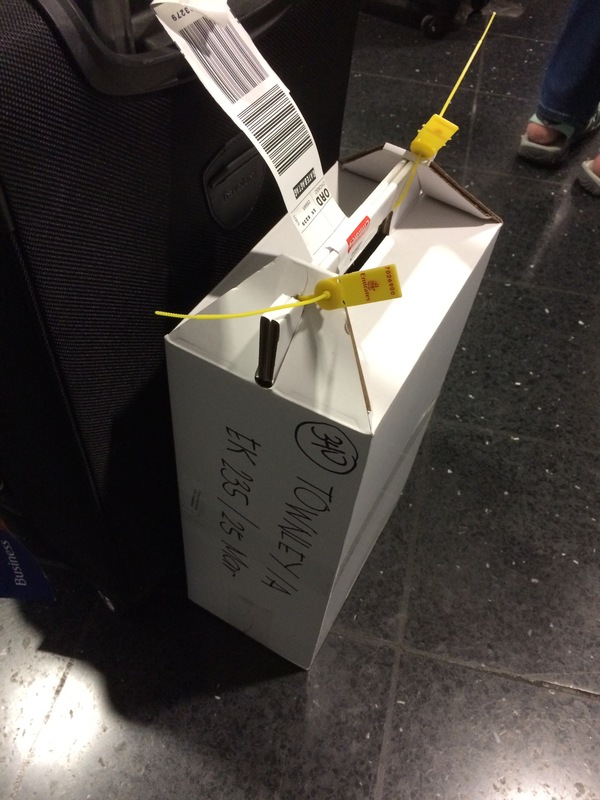 Once the box was closed with tamper-evident plastic ties and closed with a baggage tag, we were allowed on the plane. 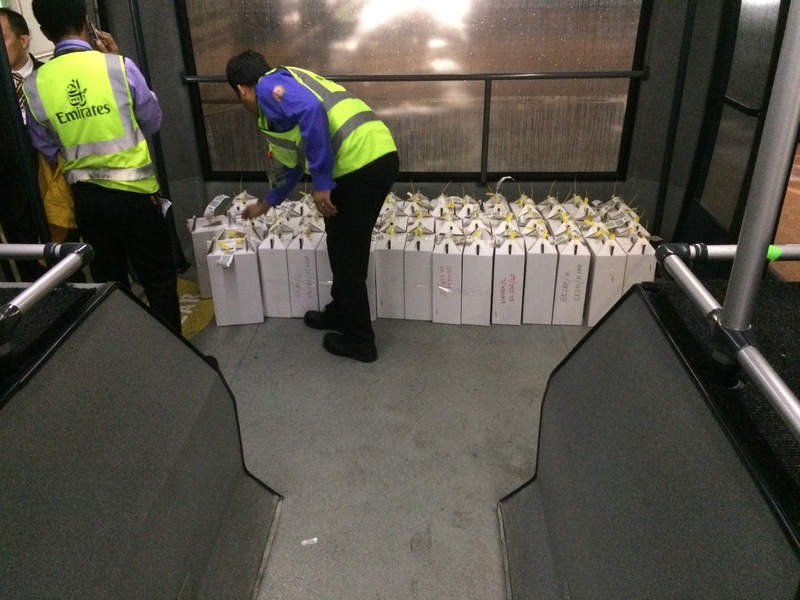 I overheard the ground staff validating the operation, and 45 of the boxes accompanied us on the bus out to the plane. There were some items packed that were surprising: one fellow passenger had her over-the-ear Bose headphones taken because the case was bigger than the iPhone guide taped to the security tables. I was very glad for my QC 20s. We were warned by the cockpit that we could expect extra security screenings on arrival to validate compliance with the US regulations, but, thankfully, none materialized. In watching the #LaptopBan hashtag on Twitter, some customers were complaining about the organization of the staff in addition to flight delays, so I’m sure there are still some bugs to be worked out of the system. I did have many concerns about the security and safety of the devices, but the pick-up process in ORD was well supervised, and the box was returned exactly as I left it in DXB. All safe, sound, and PRESENT, given the 4-day delay on my bags. The unexpected challenge of the electronics ban gave Emirates an opportunity to justify it’s market share and brand value to both customers and the industry as a whole by planning and implementing a practical solution that minimized as much as possible the impact on US-bound passengers. The solution isn’t perfect, and I’m sure improvements will be made over time, but it works. It also beat their competition. Reputation is critical, and it’s earned and reinforced action-by-action and day-by-day through setting and meeting the quality and service exceptions of your customers. Failing to live up to those exceptions can have some pretty disastrous impacts, but those impacts can be avoided by ensuring that you think through the decisions and actions you take. This process is exactly what we call risk-based strategy execution, and it’s something every organization can do with practice. It doesn’t come automatically, but it is possible. How can we put these lessons to work in your organization? Let us know in the comments, or drop us an email. We’re here to help.